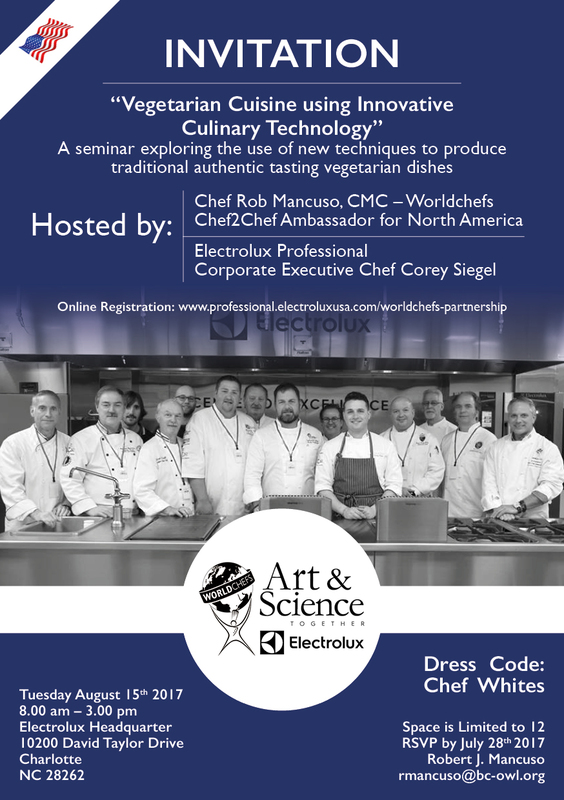 "Vegetarian Cuisine using Innovative Culinary Technology"
Arrival will be Monday August 14th and departure will be after the seminar concludes. Electrolux will book & pay for Flight, Hotel (1 night), Transportation and Meals while in Northern California. In this session, we will be exploring the world of vegetarian cooking. This hands-on experience will break down the walls of conventional vegetable preparations and get you thinking of new ways to execute the menu utilizing Cook & Chill technology (Combi Oven cooking and Blast Chilling techniques), Pressure Braising Pan and SpeeDelight high speed cooking methods. This session will showcase the ease and excitement of preparing different vegetable forward concepts.